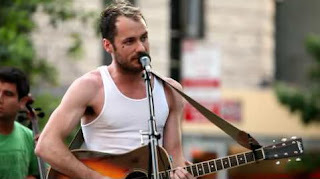 Declan Bennett was born today, March 20, in 1981. He is an out English singer-songwriter and actor. During his musical career from 2001 to 2006 he appeared under the name Sumladfromcov, but now is performing under his own name. As a teenager he was a member of pop/rock band Point Break, and he has performed lead roles in shows in London's West End, including the lead role, Guy, in the UK premier of Tony-winning Broadway musical Once in London. He is also know for his role in the series EastEnders. As a teenager, Bennett performed with the Belgrade Youth Theatre and the Coventry Youth Operetta Group (YOG) Coventry, including appearances in Willy Russell's Our Day Out in September 1996, and in Boy Band, which featured a number of his own compositions. He also performed with the National Youth Music Theatre, in The Kissing-Dance 1999. It was revealed on ITV's This Morning that Bennett's parents are both Irish, something which led to the casting of Irish actress, Pauline McLynn (Father Ted, Shameless), as his onscreen mother, Yvonne Cotton, in EastEnders. In May 1999, Bennett was one of nine teenagers chosen to sing live on the ITV morning TV show This Morning in a feature that put together a boy band. Following his appearance, he was contacted in the studio by another band, Point Break. The band released five singles, four of which made the UK top 20, and an album, which was number one in three countries in South east Asia, including Japan, and made the UK top 40. Bennett left the band in December 2000. In January 2002, Bennett was given the part of Guru Dazzle in Boy George's West End show Taboo, which received four Olivier Award nominations and he later took over one of the lead roles, Billy, playing alongside Matt Lucas, Boy George, and Julian Clary among others until the show closed in London in April 2003. Bennett also played the role of Billy in the UK tour of the show from December 2003 to 2004. In January 2005, Bennett released his first solo album The Painters Ball under the pseudonym Sumladfromcov on his own record label Covboy Records. This was followed by a limited-edition EP The Kitchen in May 2006. In September 2006, Bennett took over the role of Roger Davis in the American national tour of Broadway rock opera Rent. He completed a 9-month tour of the United States from September 2006 to May 2007. He reprised the role on Broadway from October 2007 until May 2008. 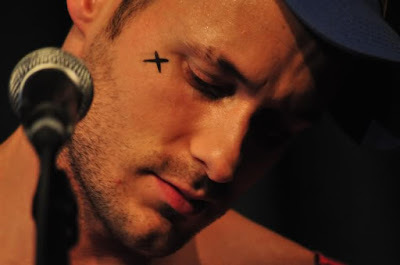 Now performing as a singer-songwriter under his own name, in March 2007, Bennett released a five-track iTunes-only EP 10 Nelson Road. His second full-length album, entitled An Innocent Evening Of Drinking, was released in April 2008. An iTunes-only single "Therapy" packaged with two remixes (Olivia's Mix and New York Live Studio Mix) was released in the USA in 2009. In January 2010, Bennett performed on the Grammy Awards with Green Day as a cast member of American Idiot the musical. The rock opera opened on Broadway in April 2010 and ran until April 2011. Bennett was a member of the ensemble, understudying and performing the roles of Will and Rock and Roll Boyfriend. Bennett released the album record: BREAKUP in April 2011 in New York. His album, a live and acoustic version of the record: BREAKUP was released in August 2013. In 2013, he opened the West End production of Once, in the leading role of Guy with Zrinka Cvitešić (leading role of Girl). On 22 January 2014, it was announced that Bennett would join the cast of EastEnders as the long-lost grandson of long-serving character Dot Branning, played by veteran actress June Brown. EastEnders executive producer, Dominic Treadwell-Collins, questioned whether Charlie (named after his villainous grandfather Charlie Cotton) would be "kind" like his grandmother or "evil" like his infamous father Nick Cotton (John Altman). Bennett first appeared on March 10, 2014. 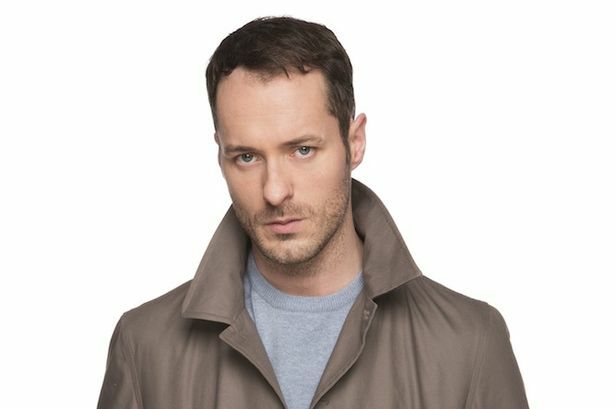 In 2015 it was revealed that Eastenders bosses have written Bennett out the role of Charlie Cotton. In his time in the show he has been married to Ronnie Mitchell (Samantha Womack), been involved in a car crash, an affair, and impersonating a police officer. He was axed in 2015, but returned in May 2017. In October 2016, Bennett took on the role as Jesus in Jesus Christ Superstar at the Open Air Theatre, Regent's Park. He reprised the role for the 2017 season. In a 2010 interview with NewNowNext, Bennett said, "I’ve been out since I was 18, even back in the boy band days. I was out when I was doing Point Break at 18-years-old. I didn’t make this big point, 'Oh, I’m the gay pop star!' It was never mentioned in that way, but as far as my own inner circle of people, they knew I was out." Bennett continues, "When I left the boy band and went back to square one and started thinking about my own music and who I wanted to be as an artist, the only decision I made was that I wanted to write music and lyrics that were based on reality, based on my life. I was going to write music that was documenting experiences I had in my life as a gay man. I’m going to write about those, and that’s going to form the body of my work. I definitely haven’t shied away from it." Bennett open next in the Kiss of the Spider Woman, which opens in London next week. Directed by Laurie Sansom, this major new adaptation of Manuel Puig's novel by José Rivera and Allan Baker, stars Bennett and Samuel Barnett (shown above) as two men imprisoned together in a Latin American jail. The play tells the tale of love, victimization and the friendship that develops between the pair.